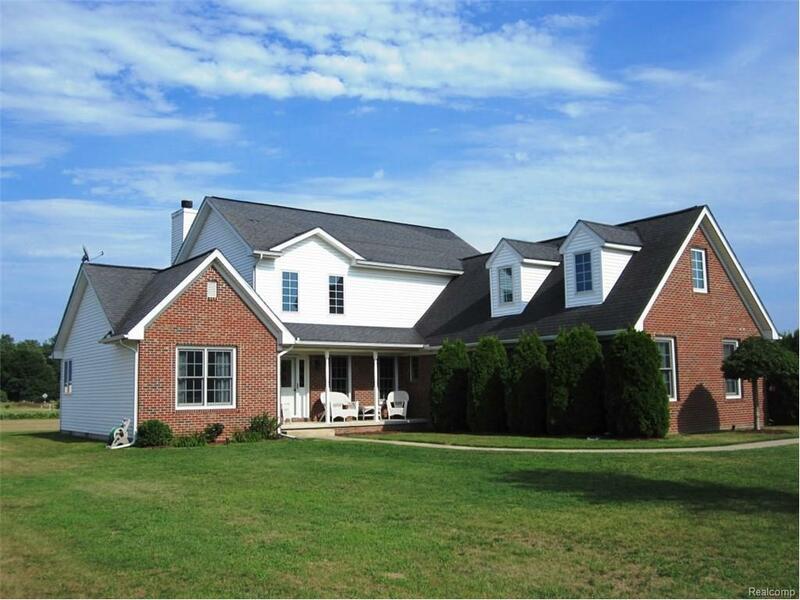 Beautiful 4, possible 5 bedroom Cape Cod on almost an acre with gorgeous country setting complete with neighborhood feel. Wonderful open floor plan includes stunning great room with natural fireplace and vaulted ceiling. Family size kitchen with loads of cabinets, pantry, breakfast nook and eat at breakfast bar. French doors lead out to your almost 400 sq.ft. Trex deck. Huge first floor master suite featuring walk-in closet and bath with his and her sinks, jetted ceramic soaking tub and separate shower. Convenient first floor laundry with added storage. Upper level includes 3 bedrooms with large closets and a bonus room. Oversized 2.5 car garage complete with workshop, storage and electricity. All appliances stay. Buyers agent to verify all info. THIS LISTING IS NOT AUTHORIZING ANY VIRTUAL VIEWINGS, A LICENSED AGENT MUST BE PHYSICALLY PRESENT AT THE VIEWINGS.